Lake Storsjön and Västersjön is our “home lake” closest to the property. 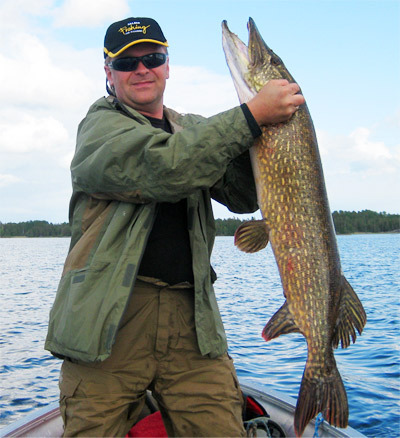 In Storsjön you’ll find pike, perch, burbot and many of the other most common white fish. 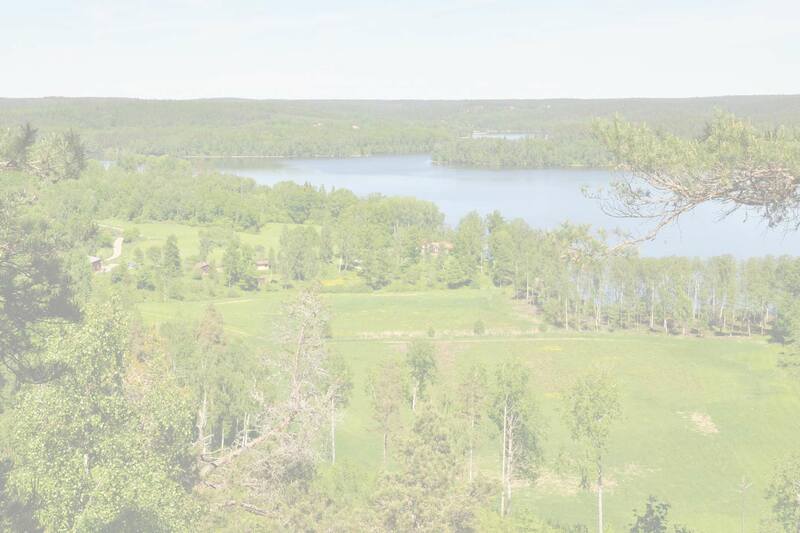 With a surface area of 225 hectares, Storsjön has an average depth of around 8 meters with places as deep as 19 meters and visibility down to about 2 meters. There are fishing regulations in force at Storsjön. Just south of Rumma you’ll find Vindommen, perhaps the most beautiful lake in the region with its many bays, points and banks. The lake has been made use of since the dawn of time, a fact borne out by the many Viking graves found around Hägerstad. It has a surface area of 1400 hectare, has depths of more than 20 meters, an average of 6-9 meters and visibility down to 2.5 meters. The water is a little muddy, but of good quality, nonetheless. Lake Vindommen boasts a rich variety of fish, including pike, perch and pikeperch, white fish like bream, tench, silver bream, roach, ruffe, burbot, eel, rudd and many more – which makes for very interesting fishing. Around 10 km north of Rumma lies Yxningen, a large clear water lake with a surface area of 3000 hectares, depths of as much as 75 meters, an average of 40 meters and visibility down to 6 metres. Yxningen is also home to a wide variety of fish. You’ll find pike, perch, burbot, bream, tench and other white fish. In addition, there is char, Gullspång salmon and trout. At present, trout is a protected species. In Yxningen there are both arctic char, Gullspång salmon and brown trout that might weigh up to 6-7 kg. There are also pike, perch, eel, burbot, bream, tench, and other whitefish. In Storsjön and Västersjön there are pike, perch, eel, burbot and the most common whitefish. In lake Vindommen there are also Zander. At the moment you are not allowed at all to fish brown trout. Minimum and maximum measurements are valid for the pike, Gullspång salmon and arctic char as well as minimum measurements for the crayfish. There are season restrictions for arctic char, Gullspång salmon and crayfish. As an ethical rule, you do not keep more fish than you eat each day, the surplus is put back. Boats with engines can be rented. Both anchor and life jackets are included but we recommend to bring own life jackets. Basic fishing tackle can be rented or bought. There are maps showing the depths for Yxningen, Vindommen and Storsjön. Fishing guide with good local knowledge can be arranged. We sell fishing card for all lakes. We are a member of Sweden Fishing. Please read more at their webbsajt.